CC, Will and I took a trip to Vegas and saw the Seven Magic Mountains. Wow, it's been a while, right?! I've got lots to catch you up on, so let's start here. Over Christmas break near the end of 2016, CC, Will and I took a road trip to Las Vegas to visit a couple of our cousins. 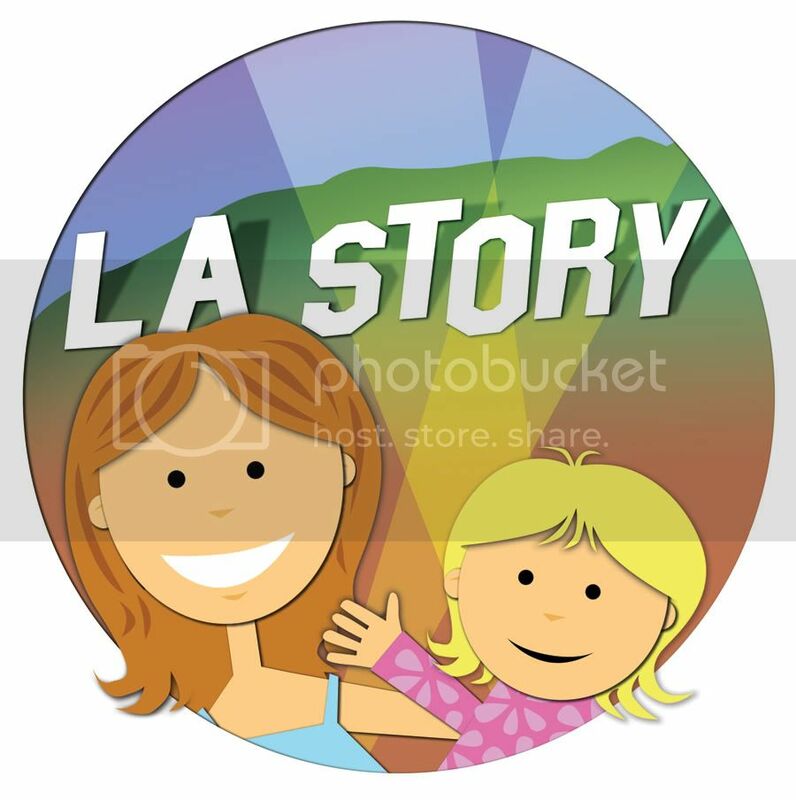 One of our cousins, who was basically my mom's BFF growing up, lives there, and her daughter was visiting. We had the time (Ian was working), and I've been trying to make a point of seeing more family since we don't really have that in Los Angeles. Well, we had such a great time, and we didn't even hit the Strip. Not once. We drove past it coming and going, but we didn't even catch a single fountain show at the Bellagio! 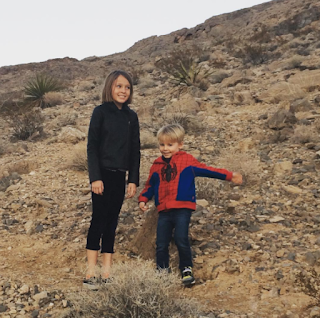 It was all about family and exploring nature — which is surprisingly pretty easy to do in Vegas. 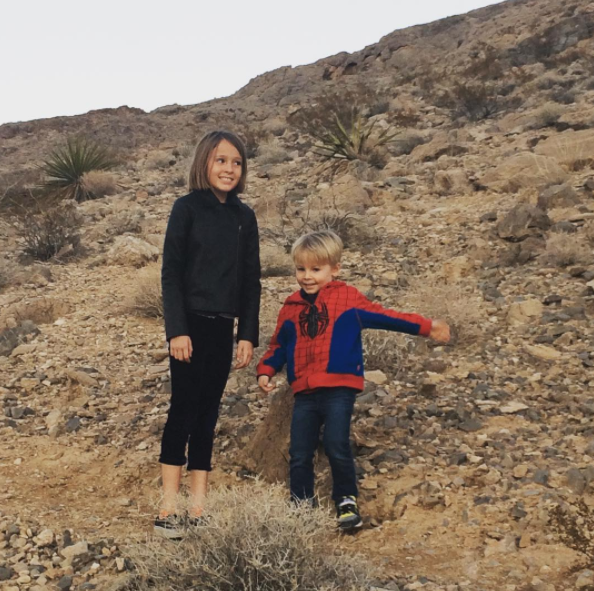 In addition to the Seven Magic Mountains sculpture, which I'd been dying to see, the kids, my cousin and I hiked around Lone Mountain, which is basically a very large hill that you can hike around and to the top. What I loved was that the kids were able to jump out of the car and go exploring. They were able to get their hands dirty and touch rocks and cacti on parched desert trails. Of course I had to remind them to not throw rocks at each other(! ), but I loved watching them make their own trails and see what the landscape had to offer. On our way out of town, about 20-30 minutes from the Strip, we pulled off the 15 and visited the colorful rock sculpture Seven Magic Mountains, created by Swiss artist Ugo Rondinone. 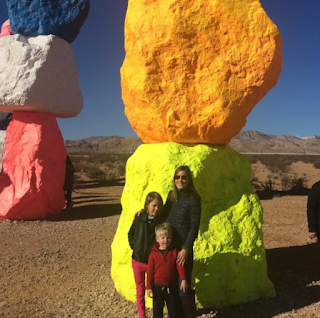 Techicolor totems rising from the ground, the seven rock sculptures are meant to be a symbol of the natural and the artificial coming together — kind of like Vegas itself. There's the natural desert landscape mingled with the artificial creation of a booming U.S. city and all of the (sometimes neon) accoutrements that come with it. The sculptures, which you can see from the highway, are beautiful and accessible. Parking is easy, and don't forget water (just a good idea no matter where you are in the desert.) And they'll only be at their location until spring 2018! 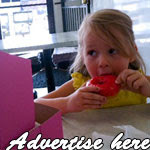 Richard Lipman works with adolescents and adults in both short-term and long-term individual psychotherapy.